With the turn of a new season, we love switching up our dinner menus with meals that highlight the best spring produce. These pasta meals easily come together and are given a refreshing boost with our favorite in-season veggies. Whip them up and give yourself more time to enjoy the warmer weather! 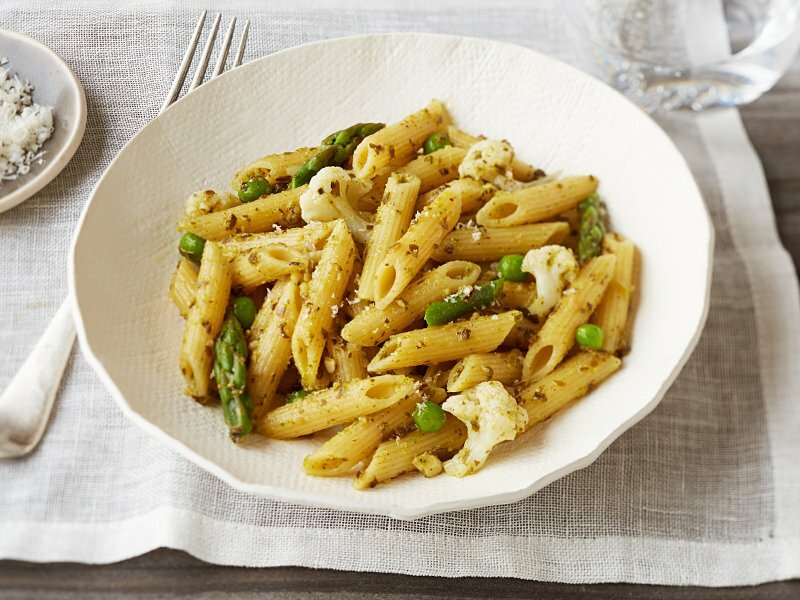 We love adding fresh asparagus and cauliflower to this easy-to-make basil pesto and penne dish! If you aren’t a fan of those veggies, swap in any fresh veggie combinations and make the dish your own. The bright colors of red, yellow, and green bell peppers shine in this delicious pasta salad! Perfect to bring to an outdoor potluck, this pasta salad is a refreshing side that will please any crowd. Red pepper and cucumber are a delicious combo in this fresh pasta salad! 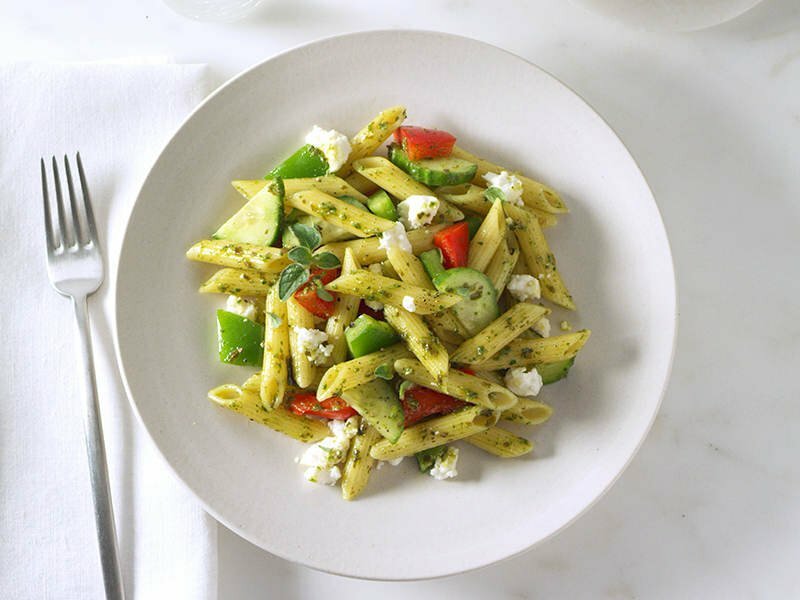 Basil pesto adds even more flavor to this tasty pasta salad, which will be an instant crowd favorite. 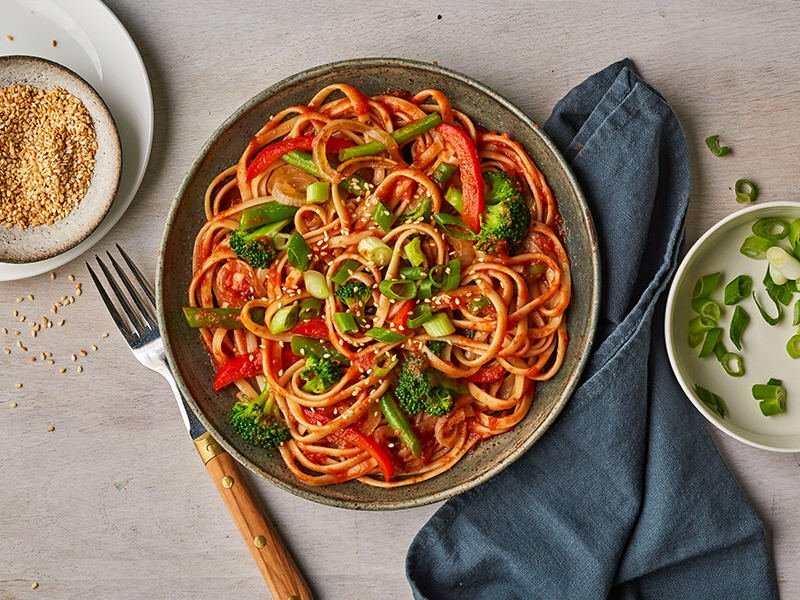 This Asian-inspired meal gets a veggie boost with fresh broccoli, red pepper, and green beans. Cooked in in under an hour, this recipe will be a new family favorite.